NIA CHARLESTOWN NEVIS (January 12, 2016) — Acting Premier of Nevis Hon. 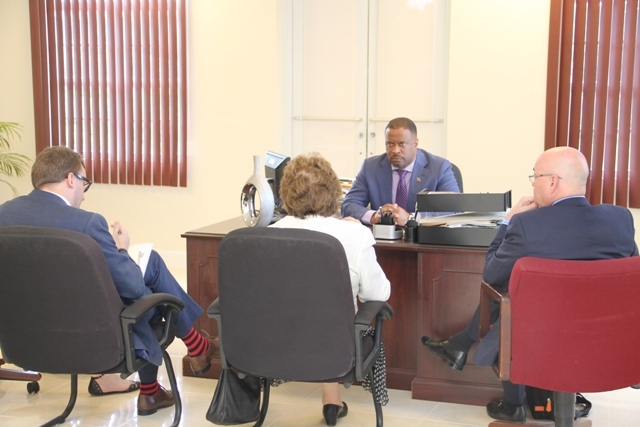 Mark Brantley described discussions with Baroness Joyce Anelay, Foreign Office Minister for the Overseas Territories in the United Kingdom (UK) as good and historic, following a meeting at his office at the Pinney’s Industrial Site on January 11, 2016. 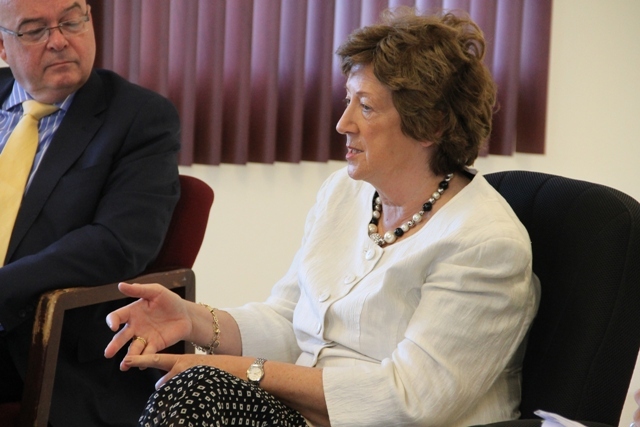 Mr. Brantley told the Department of Information at the end of the meeting, it was the first time that a British official in her capacity had visited Nevis to hold discussions. He noted, they discussed a range of issues and used the opportunity to remind the Baroness of the strong bonds existing between Nevis and the United Kingdom and the island’s continued contribution through its culture. “Lord Nelson was married to a Nevisian woman but more recently, we have people like Arthur France MBE, who started and is credited with the Leeds Carnival. “It celebrates 50 years this year and certainly, a contingent from Nevis will be going to Leeds, some 40 plus people, to perform and to be a part of the Leeds Carnival this year as they mark their 50th anniversary so the relationship remains strong,” he said. Mr. Brantley, who also is the Minister of Foreign Affairs in St. Kitts and Nevis, said they also explored ways in which the United Kingdom could continue to foster the good relationship including the provision of more scholarships and more training opportunities in the United Kingdom for the island’s youths. The Foreign Affairs Minister also stated that they also discussed development issues including climate change, correspondent banking and the ability to access overseas developmental assistance and foreign aid and mostly to demonstrate to the Caribbean that the United Kingdom remains a firm friend. An earlier press release from the Baroness and the Foreign and Commonwealth office dated January 09, 2017, stated that the visit to the Caribbean from January 08 to 09, 2017 would also take her to Anguilla and St. Lucia. The focus during the visits would be on economic development, security and justice reform, climate change and tourism. It follows a previous trip to the Caribbean in 2015, to the Cayman Islands, Barbados and Jamaica and the recent tour of Prince Harry of the wider region.